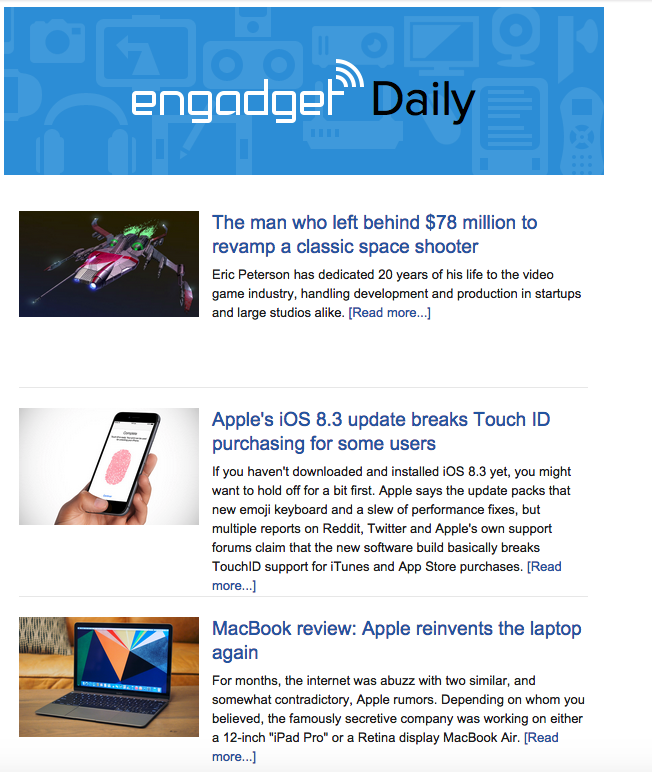 Part of how I keep up on technology news is a daily, seven article email digest from Engadget. It's a rare day when I don't find at least one of these articles to be of interest. Look for "Subscribe To Engadget Newsletter" at the very bottom of their website page if you want to subscribe.